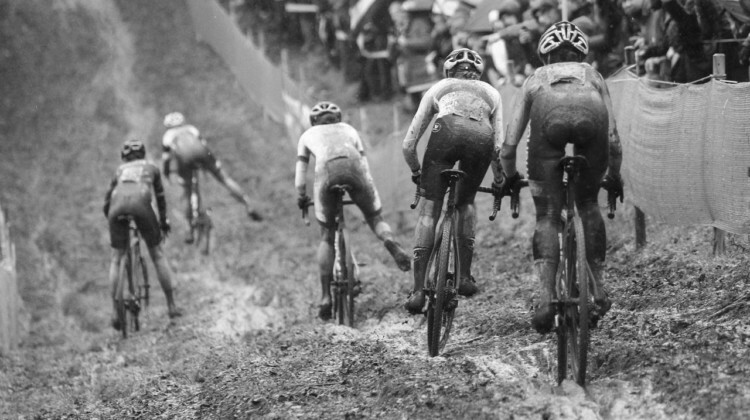 Evie Richards and Wout van Aert had memorable rides at the 2017 World Cup Namur. Bart Hazen captured the bike ballet, emotions and mud for this photo gallery. 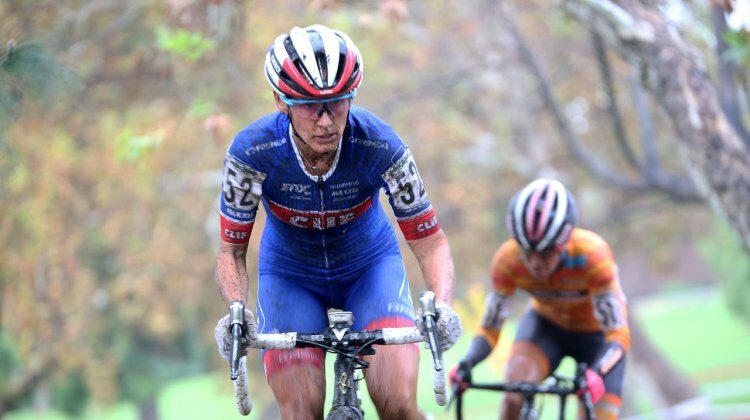 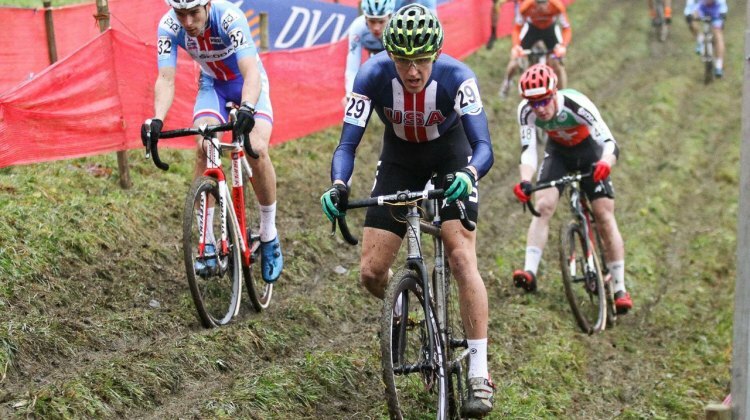 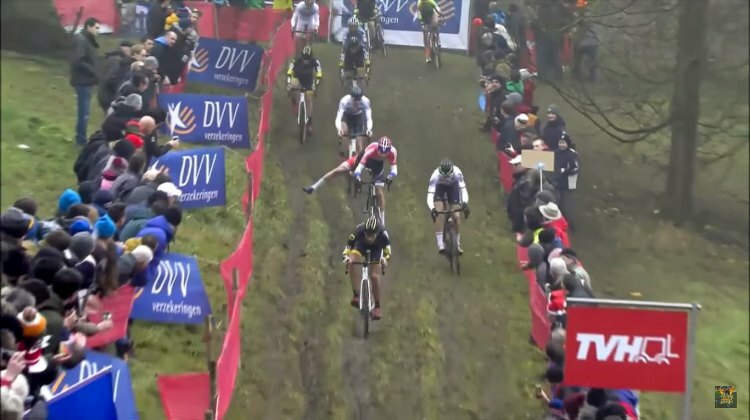 Young U.S. riders at EuroCrossCamp got to brave the climbs, drops and ruts at World Cup Namur. 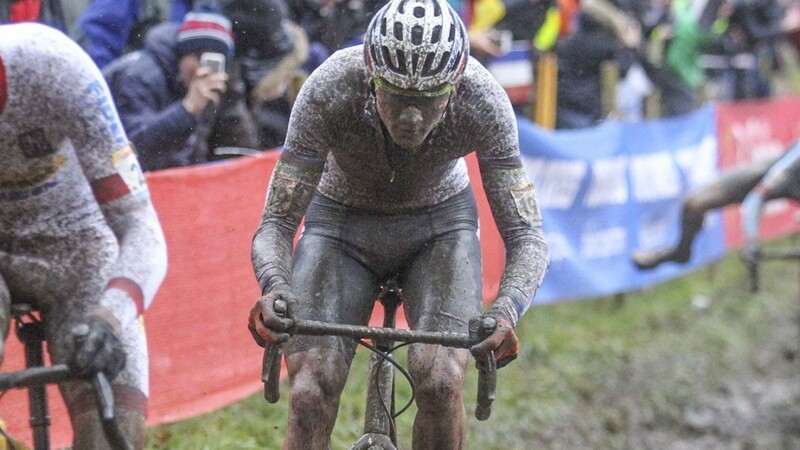 See how the muddy experience went in this photo gallery by Bart Hazen. 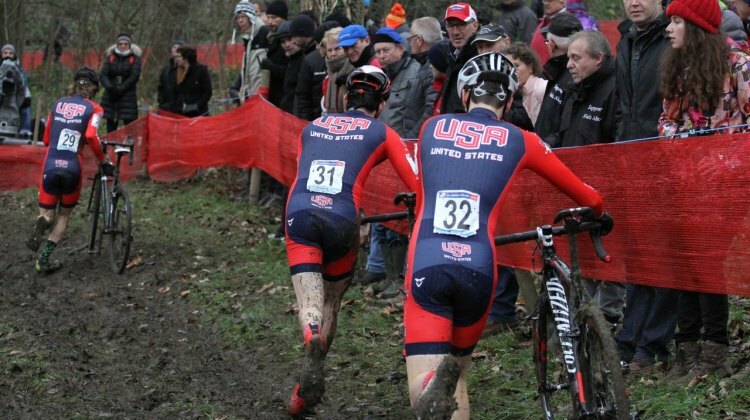 Gage Hecht and Lane Maher led the way for the Americans at the 2017 World Cup Namur. 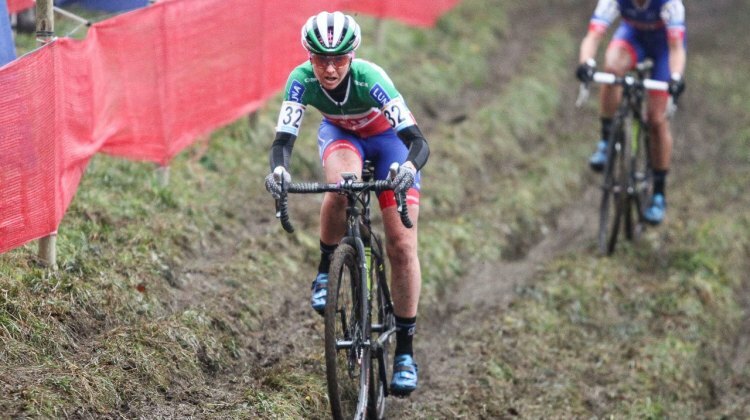 See how the rest of the U.S. U23 and Junior riders placed. 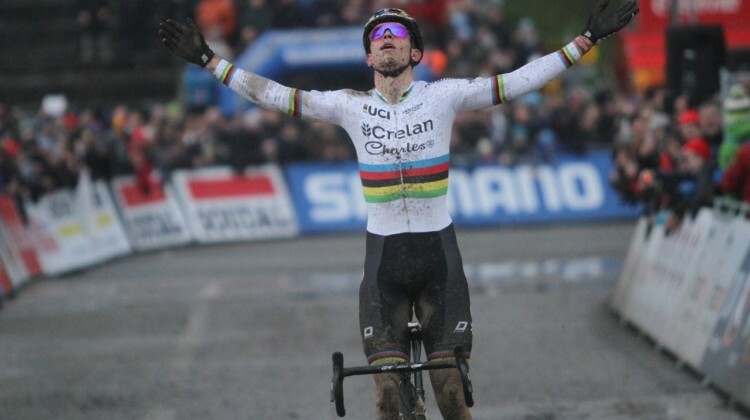 Perhaps rejuvenated after his Spain trip, Wout van Aert turned in a dominant win at the 2017 World Cup Namur. 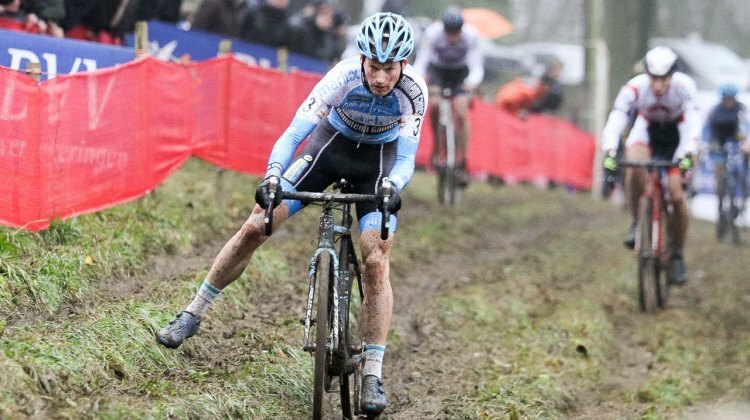 Toon Aerts captured second. 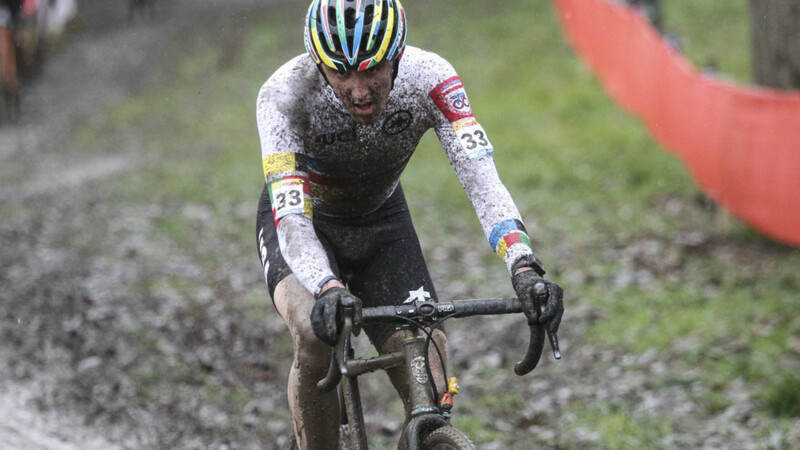 Full story and results in our race report. 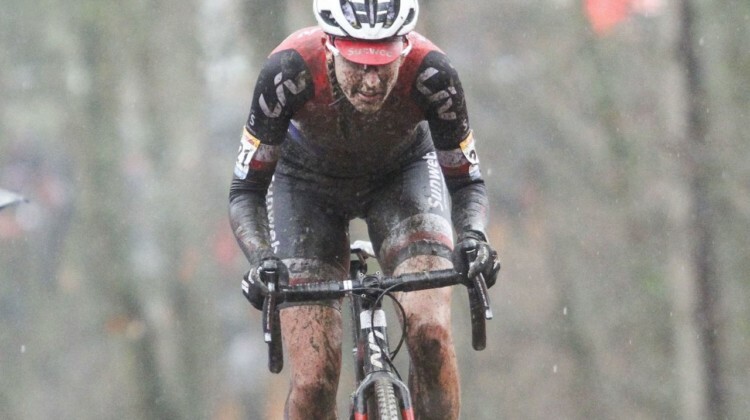 Four Americans took the start of the 2016 UCI Cyclocross World Cup in Namur, and the Brits, led by Thomas Pidcock had an impressive showing. 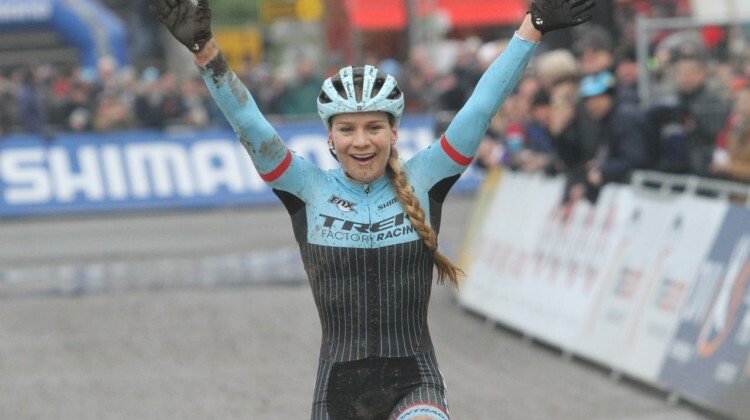 See the results and our photo gallery from the Citadel. 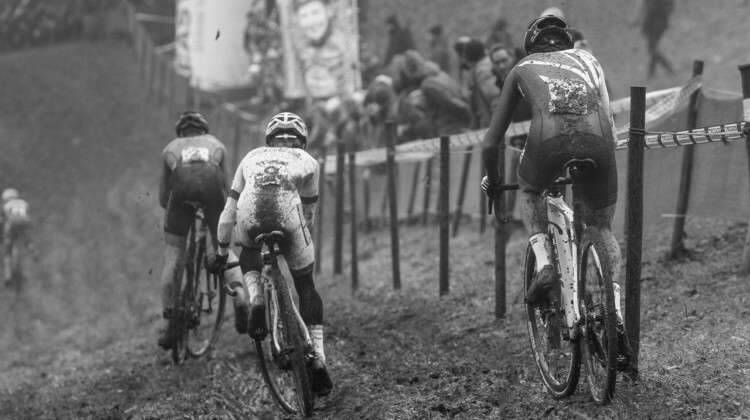 While the men’s and women’s races from the 2016 Namur UCI Cyclocross World Cup were thrillers, the U23 men’s race, contested by five Americans, was no slouch either, especially the race for second. 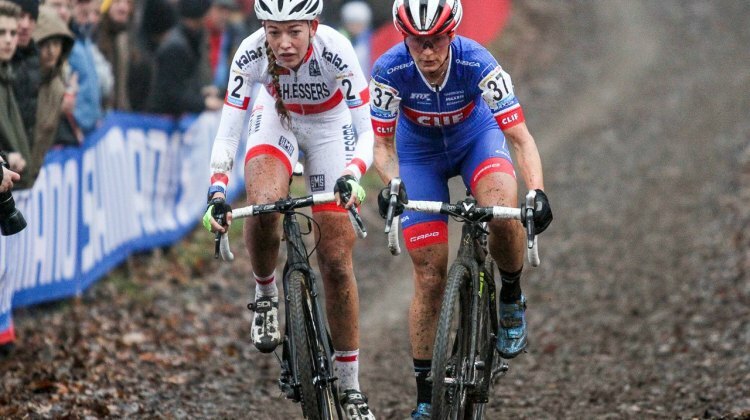 European racing turns its attention this weekend to Saturday’s BPost Sheldecross race and Sunday’s World Cup in Namur. 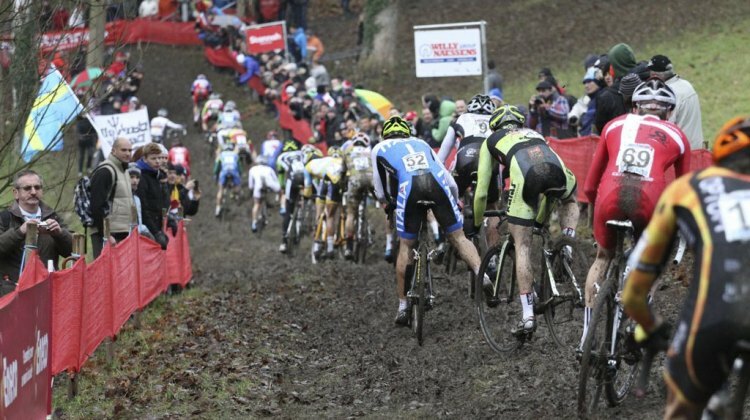 Last year’s Shedecross was a drag race of sorts while the past two editions of Namur have seen the technical course covered in mud.